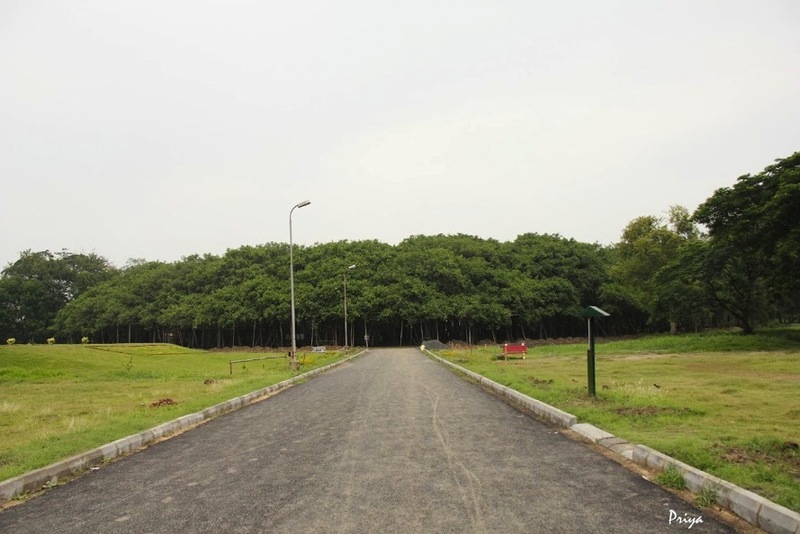 The plant kingdom has always fascinated me, which is why we drove to the Indian Botanic Garden when we visited Kolkata last month. 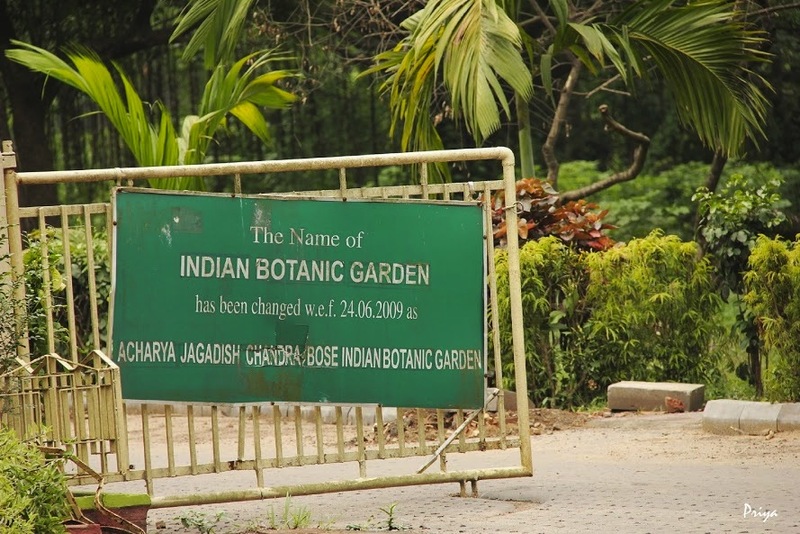 The Indian Botanic Garden also goes by the names Royal Botanic Garden and the more recent Acharya Jagdish Chandra Bose Indian Botanic Garden. 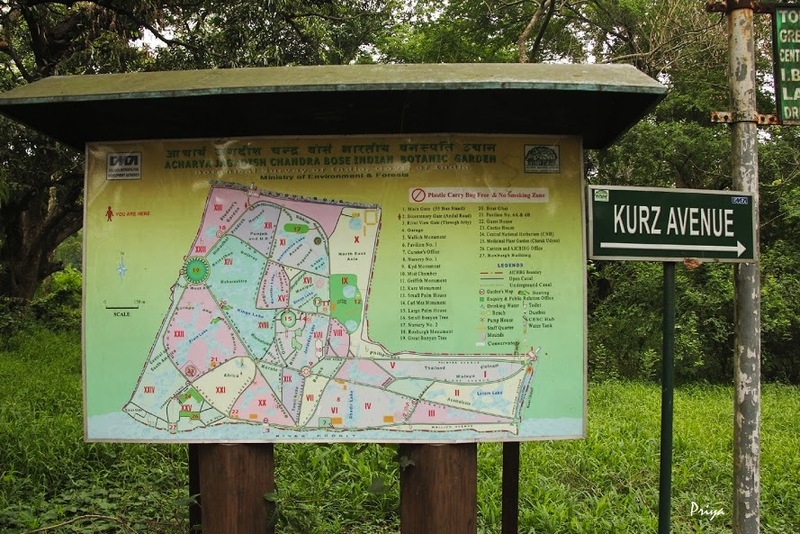 Founded in 1787 and spread across over 100 hectares on the west bank of the Hooghly River, it houses a stupendous variety of plant species. 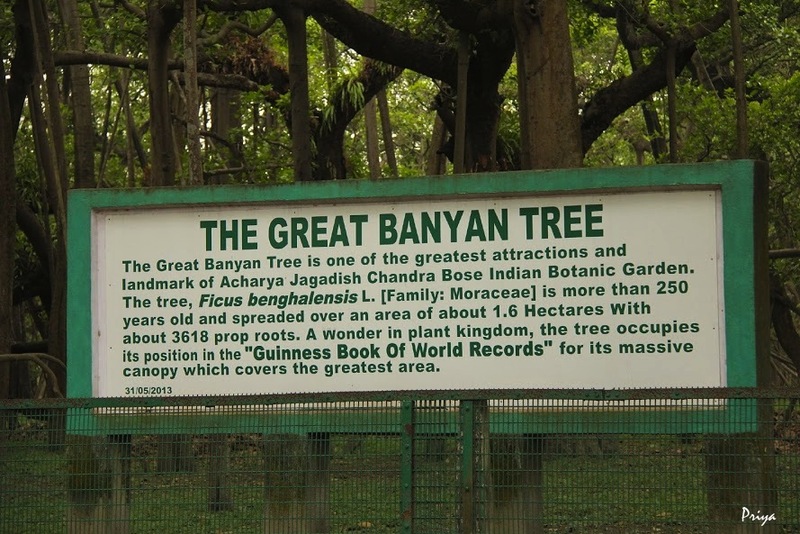 However, its claim to fame lies with the great banyan tree (Ficus benghalensis) that extends its vast canopy to cover a circumference of over 1000ft., gaining it entry into the Guinness Book of World Records. Relatives had encouraged us to visit the botanic garden, and told us to see if we could identify the main trunk from the prop roots of this banyan. However, a signboard near the tree informed us that the main trunk had decayed and had had to be removed in 1925. Despite this, the tree continues to thrive, gradually and inconspicuously grabbing space as its roots search out fresher pastures. 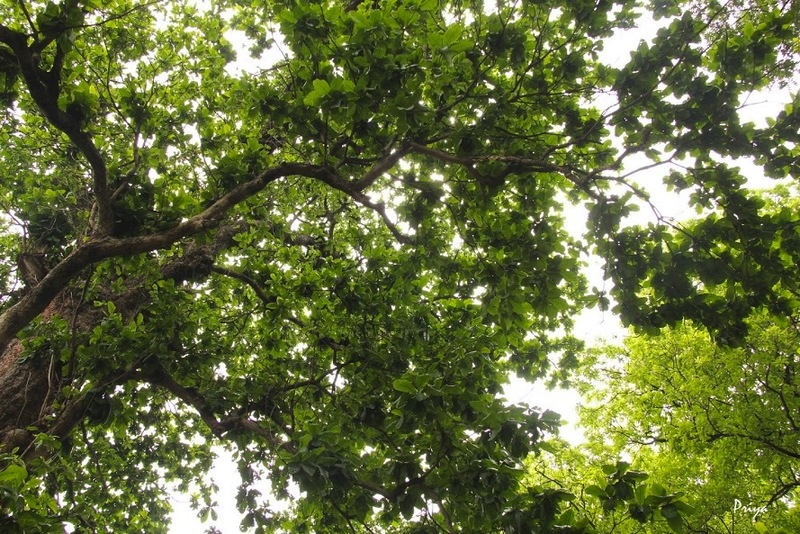 It was surreal, walking under its giant canopy, and when we observed it from a distance, it looked like a small forest in itself. 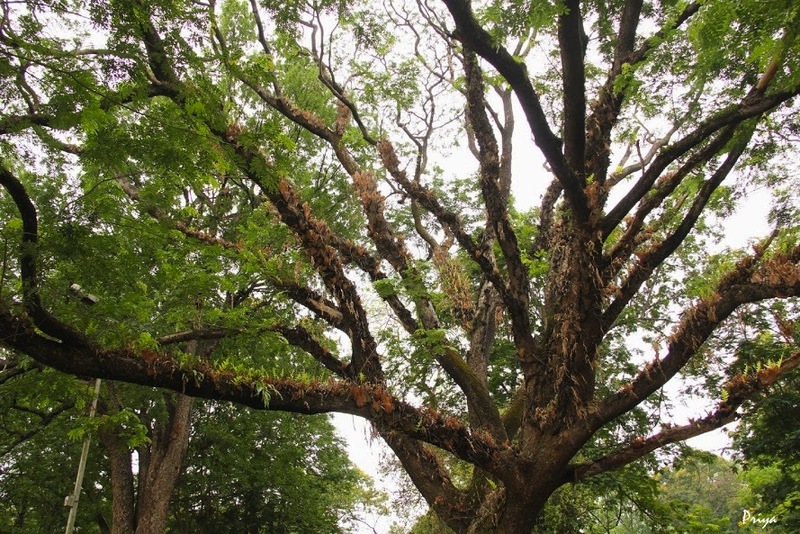 This 250-year old tree has withstood two great cyclones in the latter half of the 19th century and attack by fungus, to stand tall and healthy today. 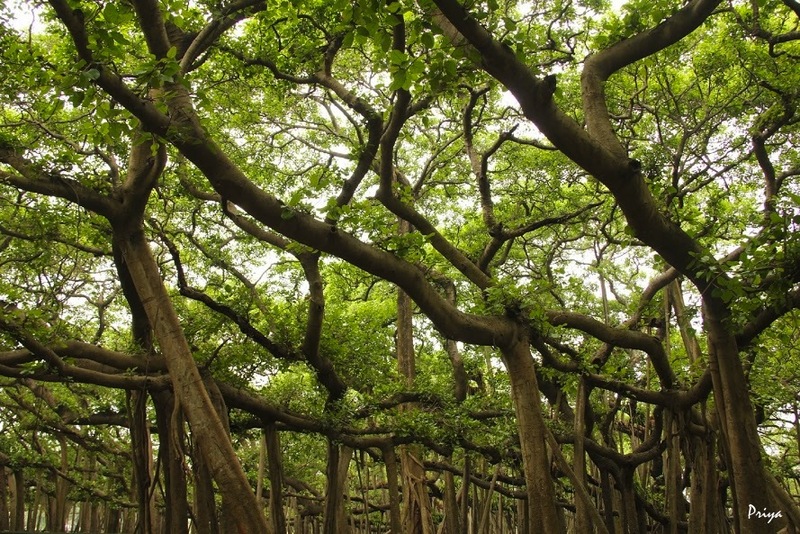 While the Great Banyan is a huge attraction – literally and figuratively, it is not the only one that is fascinating and awe-inspiring. 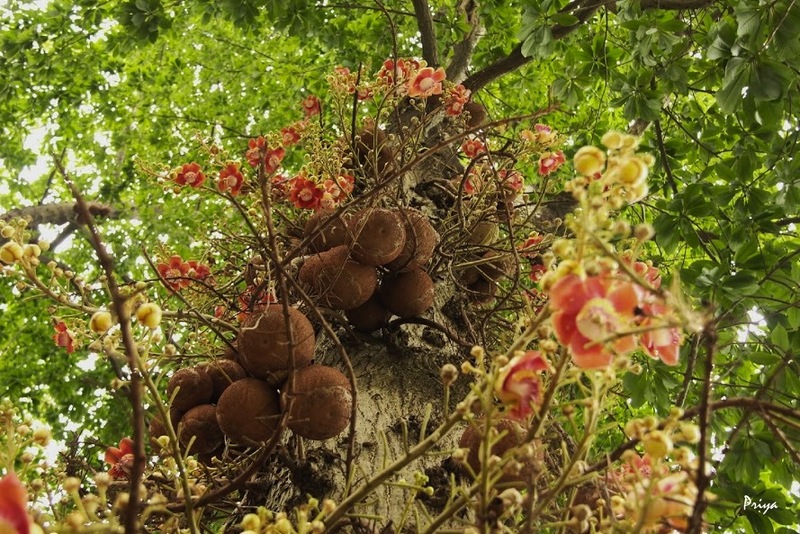 Walking away from the banyan tree, we came across the Cannon Ball Tree (Couroupita guianensis), named after its cannon ball-shaped fruit. 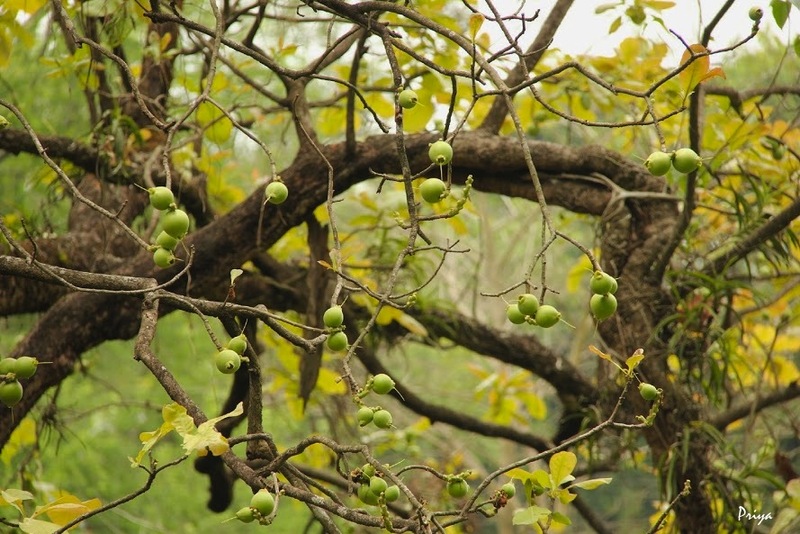 The tree is rather curious, with fruit developing directly on its trunk, unlike normal fruit trees. 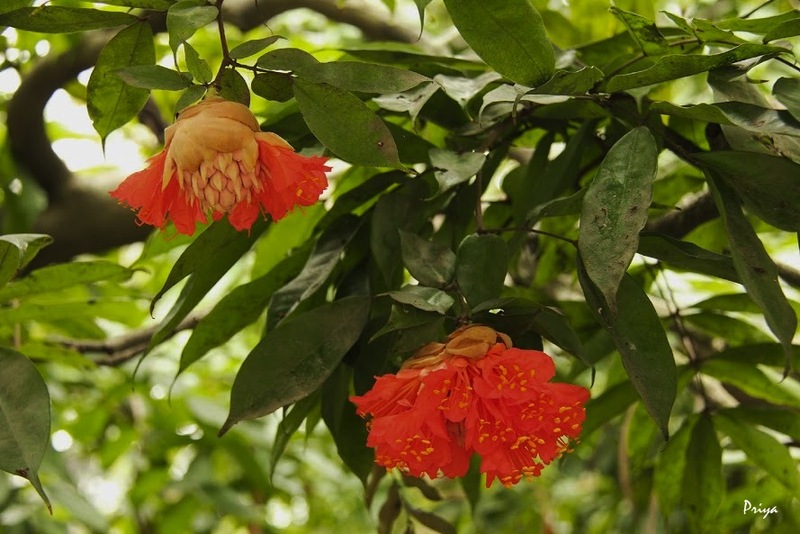 An evergreen tree, and a member of the brazil nut family, this tree is native to the Amazon rainforest, and yet, has been known to India for over three centuries, and is regarded by Hindus as sacred. 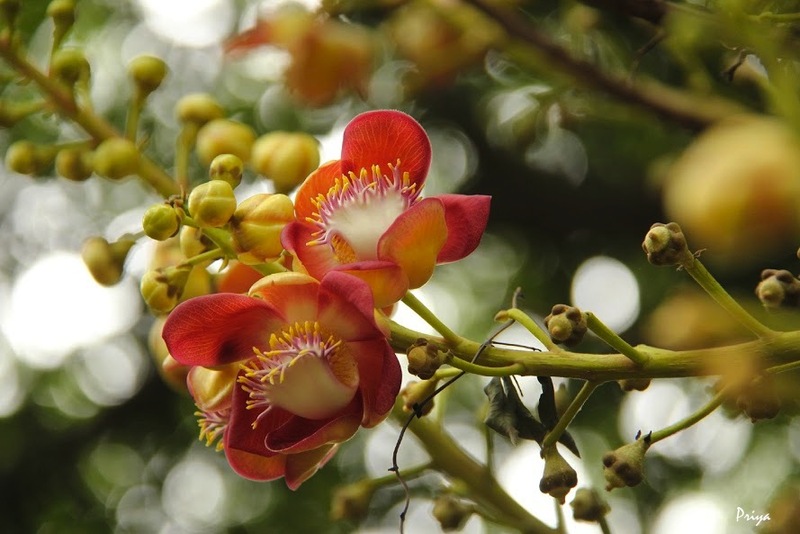 The tree is called Nagalingam in Tamil, Shivalingam in Marathi and Kaman Gola in Bengali. 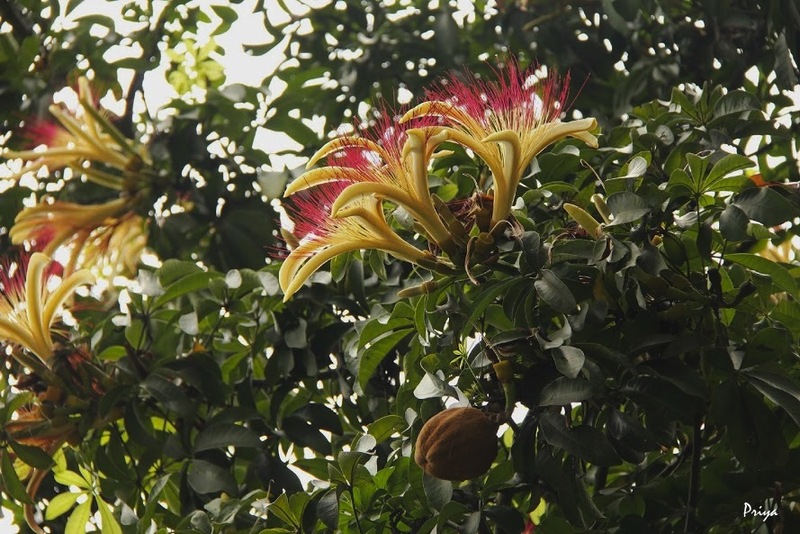 We found the Powder-puff Tree (Barringtonia racemosa) growing close to the Cannon Ball Tree. 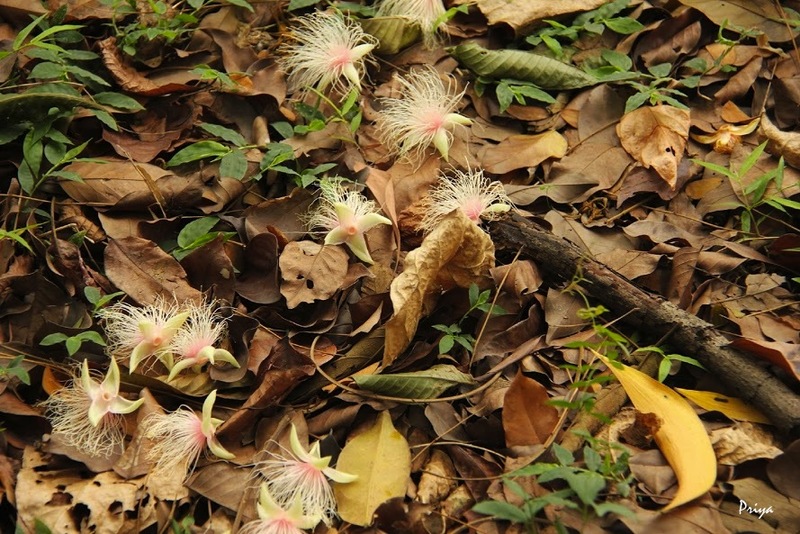 This locally rare tree gets its name from its fluffy pinkish flowers. 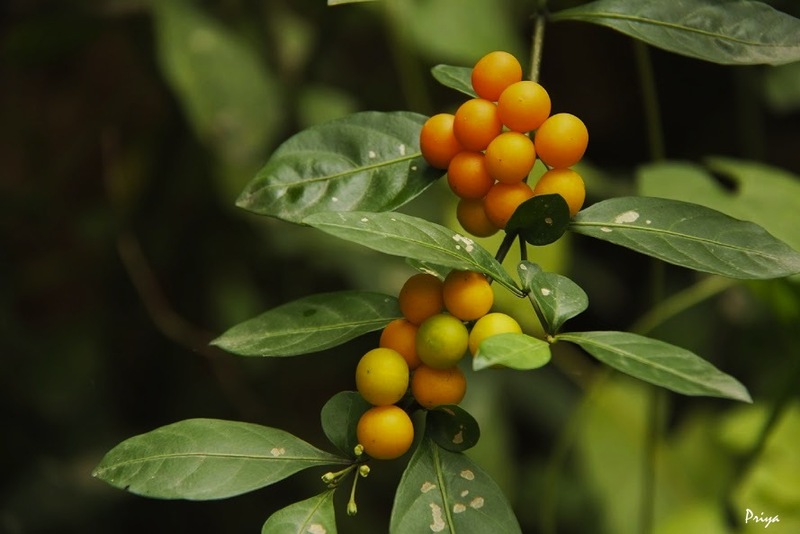 The poison from the fruit and bark of this tree are used as fish poisons, while the leaves are edible. 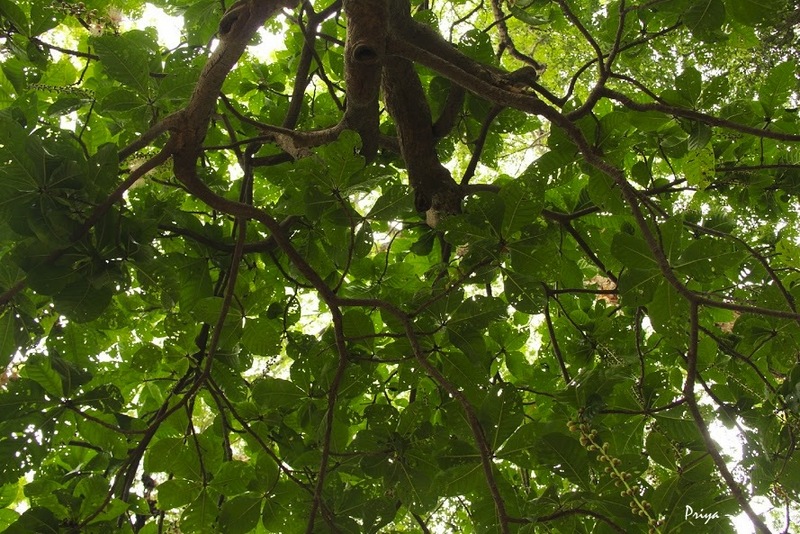 We also came across Brahma’s Banyan (Ficus exasperata), its figs visible in plenty. 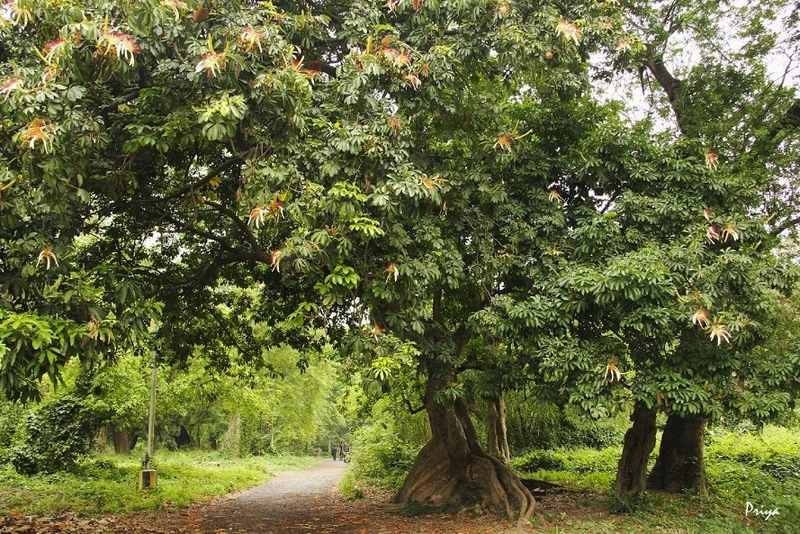 Another interesting tree was the Wild Chestnut (Pachira insignis), with its beautiful flowers and strange fruit. 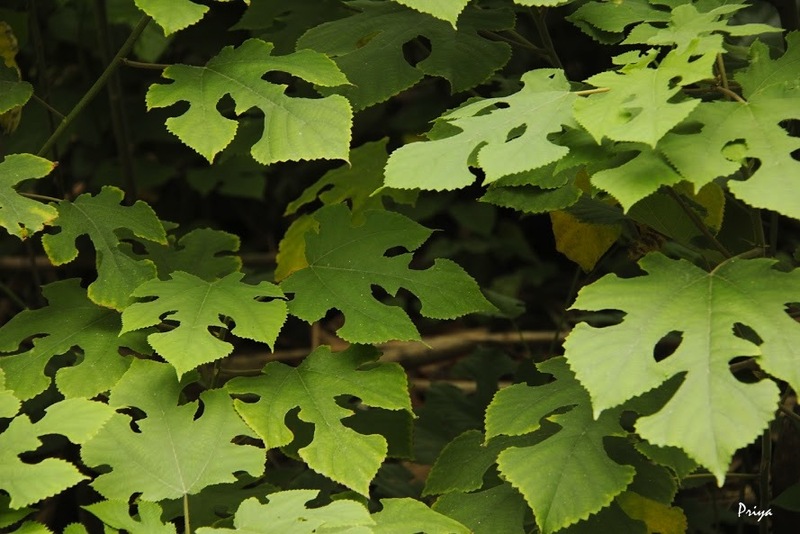 While there were plenty of trees we could identify on our own, there were plenty more we couldn’t, but would have loved to be able to identify. Signboards with some basic information about the plant and its origins would have been much appreciated. 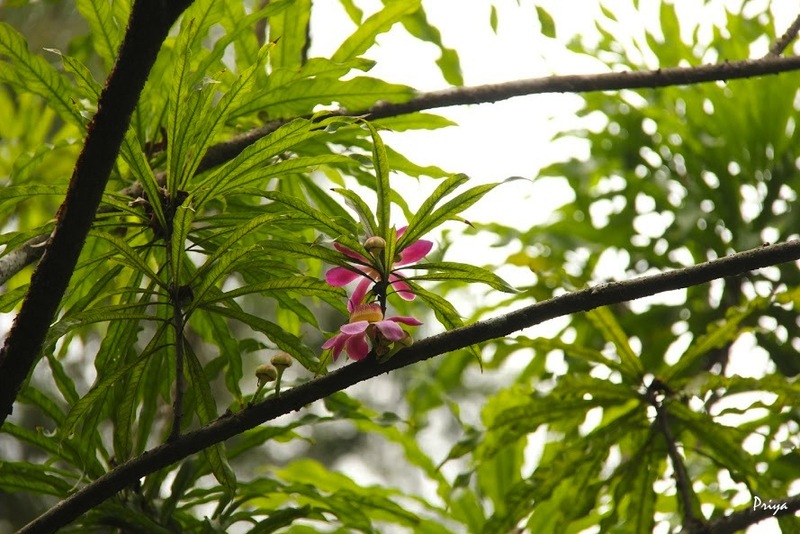 The Indian Botanic Garden is also famous for its collection of orchids, palms and bamboos. We didn’t see most of these as the sun was speeding to a high point in the sky, and after walking around for almost two hours, we decided to call it a day, and return home. 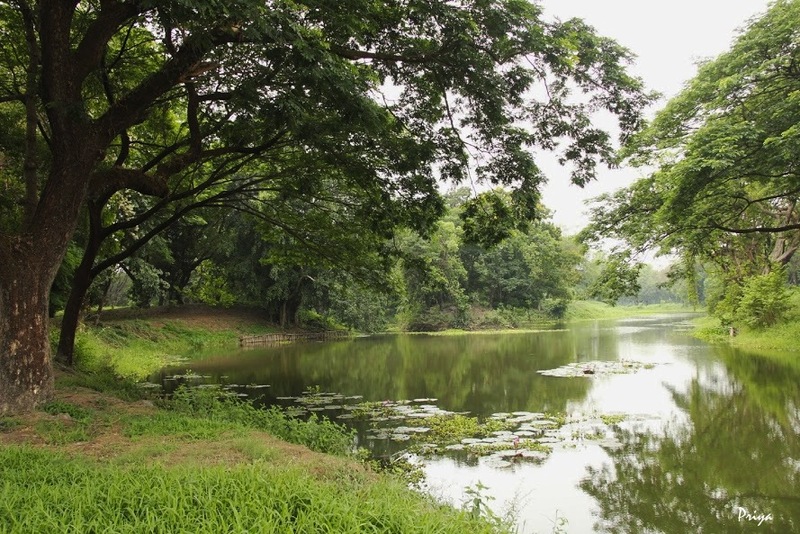 No matter how shaded or how lovely the botanic garden is, Kolkata’s natural summer heat and humidity does lead you away from the open to the dry coolness of air-conditioning! We came away wishing there had been more maps to guide us around the Botanic Garden, and that the trees had been labelled. The garden also looked poorly maintained, with grass and weeds threatening to take over the area. But in all, the experience was satisfying, exciting even. Perhaps, someday, I’ll go back to walk along the paths not taken, and view the species yet unseen. Amazing shots; I missed this when we visited the city last month. Maybe next time..